Green River stand as one of Seattle's most esteemed bands from the city's grunge era, with the legendary group featuring members who would one day form bands such as Pearl Jam, Mudhoney and Love Battery. So it comes as no surprise that hometown label Sub Pop is now dusting off Green River's catalog for a set of deluxe reissues. 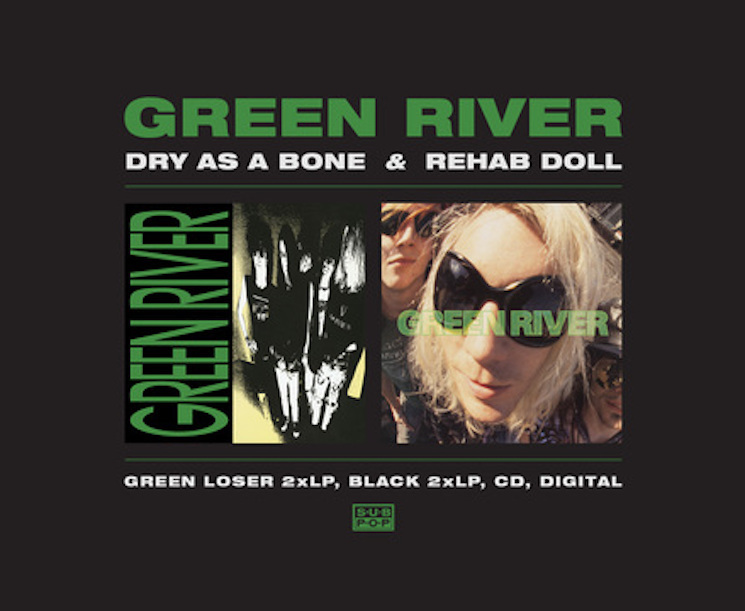 On January 25, Sub Pop will reissue Green River's 1987's Dry as a Bone EP and the band's sole studio album 1988's Rehab Doll, both of which will arrive as expanded and remastered deluxe editions on CD, double-vinyl and digitally. Serving as the executive producer for the reissues is studio whiz Jack Endino, who unearthed and restored the original tapes before mixing, remixing and mastering the reissue packages. For the unfamiliar, Green River boasted Jeff Ament (bass), Mark Arm (guitar/vocals), Bruce Fairweather (guitar), Stone Gossard (guitar) and Alex Shumway (drums). And while the band only existed for a few years (not counting some reunion activity), the group had a massive impact on the Seattle scene, with Ament and Gossard eventually forming Pearl Jam, while Arm went on to front Mudhoney. For a taste of the reissues, you can hear the newly restored "This Town" from the Dry as a Bone reissue and "Forever Means" from Rehab Doll below, where you will also find tracklists to both reissues. As you'll notice, the reissues come loaded with previously unreleased tracks and rarities, as well as the original recordings featured on the releases. Dry as a Bone will be pressed as a limited Loser edition on forest green vinyl, while Rehab Doll will arrive on limited lime green vinyl. Those limited editions can be pre-ordered here at Sub Pop and will also be available in select stores while supplies last. Mudhoney Give Us More 'Digital Garbage' with "Kill Yourself Live"